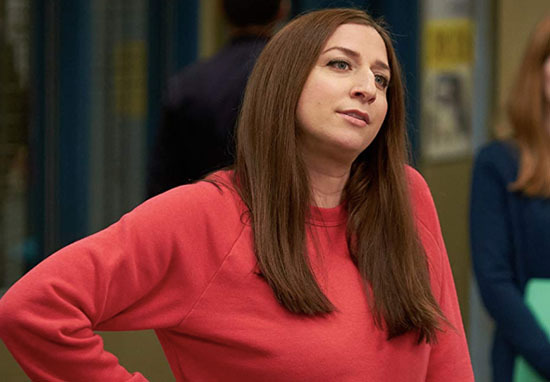 Chelsea Peretti, otherwise known as Gina Linetti, won’t be returning permanently to Brooklyn Nine-Nine. The actor is known on the police sitcom as the self-loving, phone-addicted, straight talking assistant to Captain Holt – or as she describes herself on the show, the human embodiment of the 100 emoji. 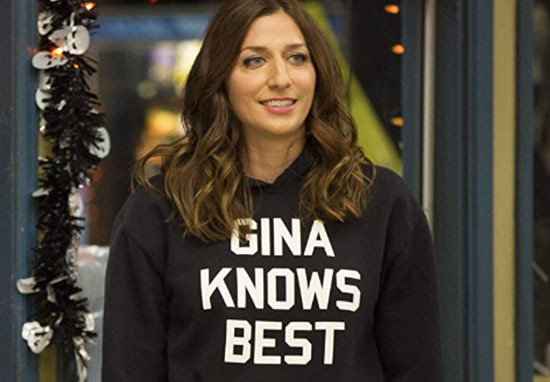 We’ve known her as (spoilers alert) the faithful companion to Jake Peralta, the unfortunate lover-turned-step sister of Charles Boyle, and the match-maker to Rosa Diaz, but after five seasons of the Brooklyn-based show, it seems Gina won’t be returning permanently for next season. Peretti announced her departure from the show on Twitter today (October 3), in a thread of tweets explaining her decision. confident, idiotic-but-smart, pithy, and infused with rhythm and cell-phone radiation. It is hard for me to know exactly what to say. From the moment Mike Schur and I decided to create this show, we wanted Chelsea Peretti be a part of it, and she always will be. She has brought so much to her amazing, hilarious, unique portrayal of Gina Linetti, which is not surprising since she is one of the funniest people in history. While it’s sad to see a member of the family leave, we are so proud of Chelsea and excited for what she does next. Also, I know for a fact this isn’t the last we’ll see of Gina Linetti. Peretti’s fans have been sharing the love for her since she made the announcement, with many using clips from the sitcom to express their feelings. If there’s no Gina I don’t want it. I’M NOT CRYING but thank you for giving us gina linetti, we don’t deserve her or you and I hope whatever comes next is just as fabulous. Brooklyn Nine-Nine was cancelled by Fox after five seasons back in May, but recognising what a goldmine of a television show it is, NBC thankfully snapped it up just one day later. The show is set to have a sixth season made up of 18 episodes which will air later this year, and while it will be sad to see Gina’s desk empty, I’m sure the rest of the gang will continue to keep up the high levels of entertainment that the show’s offered us so far.